Anne R. Withrow, 71, of Fremont, OH passed away on February 9, 2018 at ProMedica Memorial Hospital in Fremont, OH. She was born on December 21, 1946 in Fremont the daughter of Ralph and Rose Henretty. She was a 1965 graduate of Old Fort High School and received her Associates Degree in Secretarial Science from Hiram College. 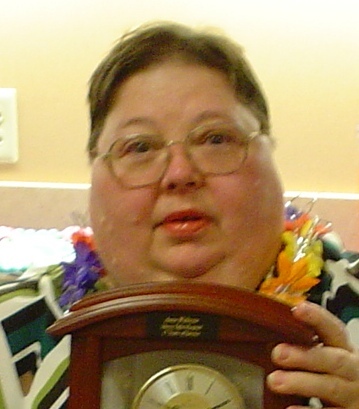 Anne was a Medical Transcriptionist for Mercy Tiffin Hospital for fifteen years until she retired in 2012. He had also worked at Fremont Memorial Hospital for fifteen years prior. She was a very active member at Old Fort United Methodist Church where she was the secretary, volunteered and sang in the choir. Anne loved to spend time with her family, especially her grandchildren. Anne is survived by her sons, David Withrow and Mark (Laura) Withrow; brother, Arthur Henretty and grandchildren, Brennan and Brooke Withrow and Jager Hackenberg-Withrow all of Fremont, OH. Visitation: Wednesday, February, 14, 2018 from 5 to 7 p.m. at Horvath Hanes Funeral Home, 211 N. Broadway St., Green Springs, OH. Funeral Ceremony: Thursday, February 15, 2018; 11:00 a.m. at the funeral home with Pastor Marc Quinter officiating. Burial: Pleasant Union Cemetery, Old Fort, OH. The love and bonds of family were sealed long ago by our Lord. So it has been that we have enjoyed all the days and years with you and your family. Your photographic mind and masterly of the written word always fascinated and inspired our family. Your kindness and willingness to be of service to your church have been a blessing to us and those with whom you served. May the grace, love, peace and joy of the Lord be with your family now and forever! Even though Aunt Anne departed from this earth, she never truly leaves, for she is still alive in our minds and hearts, through us, she will live on. Please accept our condolences, Aunt Anne will not be forgotten. Sorry we cannot make it for the services. Nikki and all the Becker boys. Dear family and friends, please accept my deepest condolences. May God’s promises found at Acts 24:15 and Psalms 37:24 bring you comfort during this difficult time.